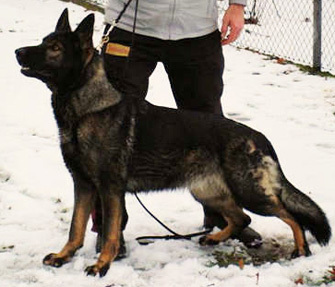 Elfie's coat color is a rich, dark black sable with excellent pigmentation. 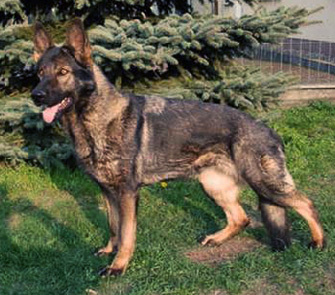 With an outgoing and free temperament, she is a strong female with a sure and courageous nature. 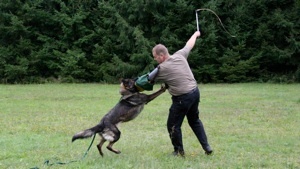 Elfie demonstrates an excellent temperament and confident nature. 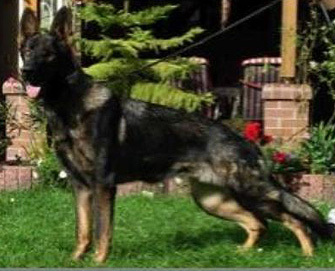 She possesses an excellent balance in hunt drive, tracking ability and protection skills along with very good social skills. 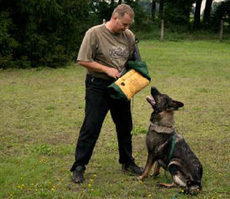 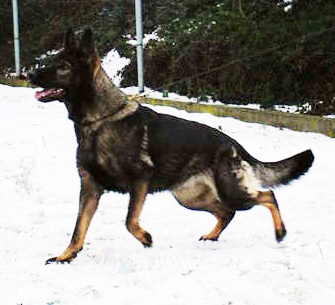 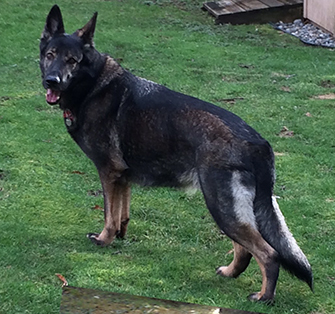 She is a large female with great substance in bone structure with a very strong DDR head type which we look for in our DDR working females, all of which make her an excellent choice for pups which will be suitable for SAR, Family protection, IPO and Schutzhund, Police and Narcotics / Apprehension work. 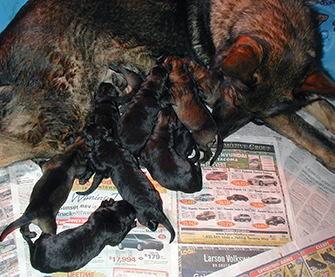 ** View Elfie's " D Litter "
Aron is SCH3, KKL1, and V Rated.
" 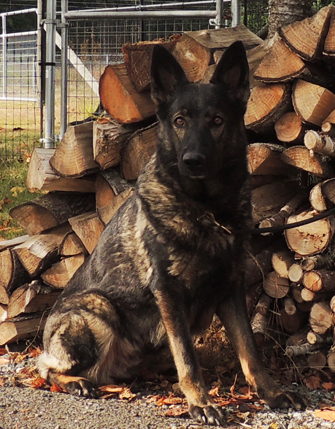 Drako von Schraderhaus "
Elfie x Lord.. Jan 17, 2012.
making Elfie's an excellent working DDR pedigree. 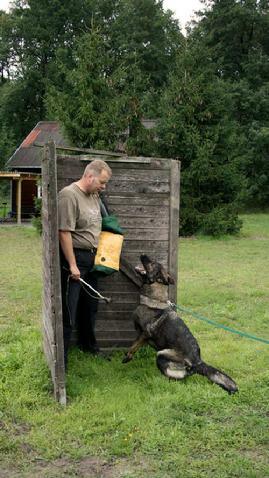 Elfie is linebred on the following DDR Dogs..